Also, you and me are on the same page with regard to WiiWare...my collection also consists of a bunch of retro revivals. Nuts, I forgot about that one. Guess it's time to install it through... other means. Wish I'd remembered while I could still add points. 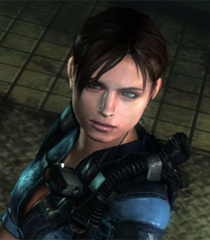 Sarge wrote: Nuts, I forgot about that one. Guess it's time to install it through... other means. Wish I'd remembered while I could still add points. If it makes you feel better, the game is absolutely terrible. It is like an unironic Epic Dumpster Bear. 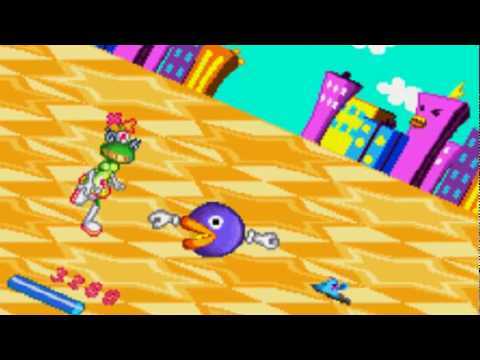 Rhyme Rider Kerorican is a rhythm game for WonderSwan Color. It was created by NanaOn-Sha, who are better known for other rhythm games such as Parappa the Rapper, Um Jammer Lammy and Vib Ribbon. 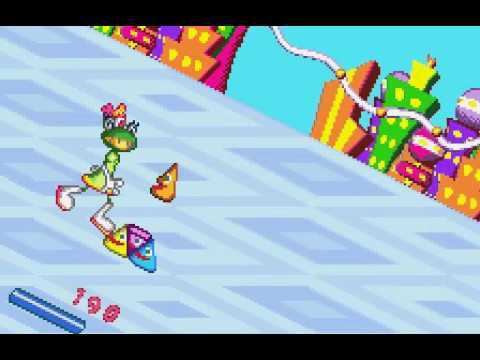 In Rhyme Rider Kerorican, you play as the titular Kerorican, a girl in a frog helmet who skips through a series of quirky levels. Enemies and obstacles appear in time with the music and you must react by pressing the correct button to clear the obstacle. So far, so 90s rhythm game. Rhyme Rider Kerorican’s main gimmick is the way it utilises the hardware it’s on. The WonderSwan is known for it’s odd control layout – it has a d-pad style layout on the left with an A+B button on the right when held in landscape mode, but it can also be turned vertically, where it has a d-pad style 4 button layout on both sides of the system. Rhyme Rider Kerorican though, is unique in that it’s intended to be played diagonally – using the top d-pad on the left and the 2 buttons on the right as the primary position for your hands, causing the screen to sit at a tilted angle. 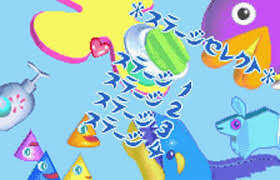 One way in which Rhyme Rider Kerorican draws inspiration from Vib Ribbon (NanaOn-Sha’s previous title) is the way it requires button combinations to react to some of the obstacles. The standard obstacles are reacted to using either the A or B button, any of the 4 X buttons on the console, or any of the 4 Y buttons, depending on the obstacle. Later stages introduce obstacles which require to to combine these – so the teacup obstacle requires a combination of the Y&A/B buttons, for example. There are 6 obstacles in total. Clearing enough consecutive obstacles will cause a crown to appear above an enemy, and getting the correct timing on this enemy will cause Kerorican to skip ahead in the level somewhat. Mechanically, the game is solid, but it has some flaws. First of all is the button combination system – it’s OK for most combinations, but the last 2 stages introduce a spray can obstacle that must be passed with a combination of an X and a Y button – if you look at the image of the console I posted above, you can see the issue here – they’re on the same side, and it’s really hard to react fast enough to hit them. The main issue though, is the fact that the game is short. Like super short. It took me way longer to write this review than it did to beat the 4 levels included in the game. Each level is only a few minutes long, and they’re not really all that hard until the final stage either to be honest. Rhyme Rider Kerorican feels like a satisfying demo to a full game, only there’s nothing more to see. Overall, the game is worth a play for the colourful graphics, jazzy music and fun gameplay, but it’s ridiculously short length is really an issue holding it back. It’s over before you really have a chance to get into it, and there’s not a lot of reason to replay the game either. 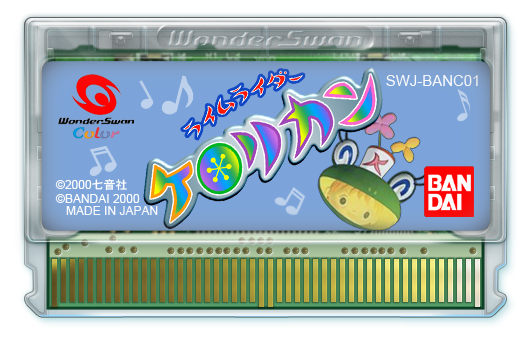 I wouldn’t rush out to buy a Wonderswan just for this game, but if you have one and you find this cheap it’s at least a bit of short-lived fun. Hey I finally finished my Together Retro title that I started in February! I definitely took the long way around on this one, but in the end the journey was highly worthwhile. 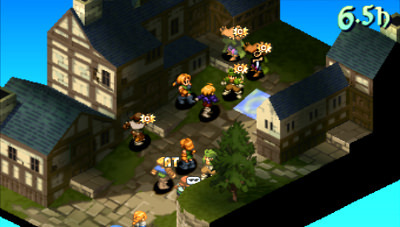 Final Fantasy Tactics: War of the Lions is an enhanced PSP port of Final Fantasy Tactics (which originally appeared on PS1). Among these enhancements, the most noteworthy might be the addition of cut scenes as well as completely updated and rewritten dialogue. I always struggle with keeping my final post-game thoughts short and concise, and this seems to be doubly true with RPGs. Apologies in advance for throwing brevity out the window; let's get right to the meat of this thing. nullPointer casts Wall of Text! 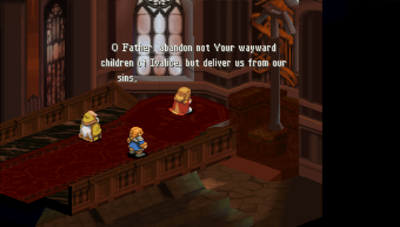 Although the story in Final Fantasy Tactics does eventually reach the requisite levels of Final Fantasy convolution, it's probably the most 'mature' story line I've seen in a Final Fantasy game. Particularly early on, some of the more fantastical elements for which the series is known are dialed back. There are certainly plot devices present that are typical of the series; notably a rag-tag band of underdog rebel heroes fighting overwhelming odds to stop the awakening of some ancient unspeakable evil. 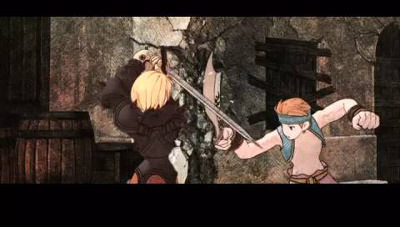 But the notable aspect in all of this is that these familiar plot devices take place within the context of a bitter war of succession to determine the rightful heir to the throne in the kingdom of Ivalice. And in most regards, I would say that it's this war that takes center stage. All major plot points are related to the ebb and flow of warfare in Ivalice, all characters defined by their various roles in the war. Your characters are not 'the most important characters in the world', and for the most part they aren't sculpting or redirecting the tide of war either. They're merely swept up in the momentum of the war just like nearly every other character you meet in the game. It really makes for some terrific world building, and in de-emphasizing the player characters 'ultimate importance' in that world, it really makes the story feel more grounded than most Final Fantasy outings. Similar praise can be given to the written dialog which is both sharp and well written. It's certainly a welcome departure from some of the childish dialogue and amateurish localization seen in lesser JRPGs. There were a handful of in-game quotes I really wish I'd written down due to the inspired turns of phrase. Do you like stats and systems management? 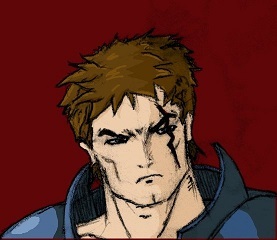 FFT:WotL does. And it really wants you to like them too! This can be a double-edged sword, because while this is a game that both encourages and rewards deep exploration and experimentation within its various systems, it can also punish you unrelentingly if you fail to do so. In some ways your enjoyment of this may come down to how you feel about job systems in the context of Final Fantasy. If you've enjoyed this aspect in other Final Fantasy games that implemented it, you'll likely find Final Fantasy Tactics to be a highly enjoyable experience. 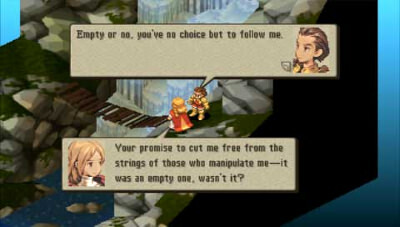 If you're not a fan of Final Fantasy job systems, you might not have a good time with Final Fantasy Tactics. If you pay small heed to the assignment of jobs and learned abilities, this game will likely eat your lunch. Jobs and abilities are probably the single most important component to manage in this game, even more so than traditional experience and leveling. In the first half of the game I was more focused on leveling up my party in this 'traditional' sense. Higher level = higher HP, higher physical/magical power, etc. So, in traditional RPG fashion I put time into grinding and dutifully leveled my characters to high level power houses. Except that … they weren't. The problem with this approach is that in Final Fantasy Tactics the difficulty of random encounters scales based on your experience. So I actually reached a point in which random encounters were almost too much to manage. Enemies were doing more damage per strike than I could possibly dish out in reciprocal. I actually had to de-level my characters (thanks to a few traps in the game that will allow you to do just that) in order to manage the difficulty of random encounters. I then adjusted my long-game strategy in order to place more emphasis on job levels and abilities rather than on experience levels. Once I shifted my strategy to focus on job growth and effective combinations of abilities, the game was suddenly fun and manageable again. The in-game graphics are serviceable and perfectly functional. As opposed to many Final Fantasy games, there really aren't any moments of jaw-dropping spectacle, but conversely nothing is noticeably bad either. The conversion to a handheld screen means you're dealing with small sprites and backgrounds, but I never had a moment in which I was unsure of what I was supposed to be seeing. 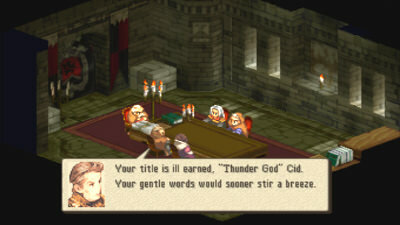 Long story short, FFT is more about deep and engaging gameplay than it is a show pony for graphical superiority. One aspect that I did quite enjoy was the infrequent but effective use of cut scenes. I guess you might expect quality cut scenes from Square/Final Fantasy, but stylistically these are different from anything else I've seen in the series. To my eye they look like a melding of anime and LotR era Ralph Bakshi overlaid on a textured surface like a medieval relief wood carving. The result is quite striking. The voice acting runs the gamut, but nothing stands out as bad, melodramatic, or amateurish. The principle voice work on the main characters of Ramza and Delita is quite well done. The music is also quite well done (as one might expect from Final Fantasy), though I don't know that I'd rank it as highly as some of the truly legendary Final Fantasy scores. 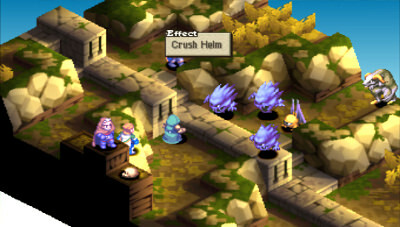 Final Fantasy Tactics is generally regarded both as a classic Final Fantasy title and as a hallmark in the SRPG genre. War of the Lions builds admirably upon that legacy and is a worthy update to the original. They made minor improvements both in the interest of modernization and providing a somewhat more robust experience, but perhaps most crucially they wisely left the core gameplay exactly as it was. 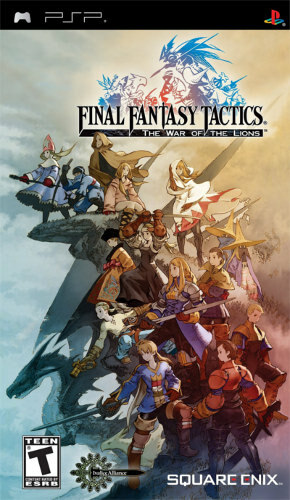 If you've never played Final Fantasy Tactics (as was my case) or if you're looking to play it again, War of the Lions is a great way to do that. If you have any interest in JRPGs or SRPGs and have somehow skipped over this title (which once again was my case), I'd advise you to check it out. Its reputation as a classic is well-founded. Last edited by nullPointer on Wed Apr 04, 2018 9:20 pm, edited 1 time in total. Pretty solid mech action here, though the thing that stood out the most to me was the cutscenes. I'd rank it above Cybernator but below Ranger X. Front Mission: Gun Hazard is a lot better overall and the best 16-bit mech game. Do you have one too? I only got it fairly recently and with a handful of games. Finding affordable games which are playable in English seems tough! 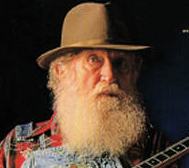 Why have I never heard of Ranger X before now? I watched about 15 seconds of gameplay from the first level and you are a mech who rides a motorcycle and can combine into that motorcycle. Gonna have to snag me that game. I also do not understand why you and Ex rank Gun Hazard above Metal Warriors.